What Was the Idea Behind 'Norah's Ark'? The brief was to write about peoples’ reactions in the 97 minutes after the Presidential announcement that life on earth was going to cease - in no more than 2 pages. What was the idea behind Norah’s Ark? I noticed a 25’ boat sitting on stilts outside a commercial garage in a village in Hampshire, nowhere near any water. So in the back of my mind it was only natural that when the news comes about the asteroid, a teacher called Norah has 6 children uncollected from school. 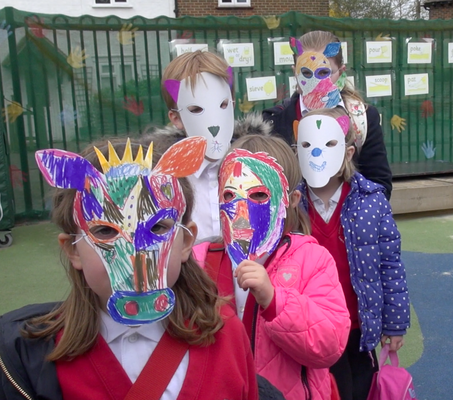 She tells them the story of Noah’s Ark, gets them to decorate animal masks and leads them onto the boat. What else can you do when the earth is doomed? When I learnt my script was a Second Chancer I decided to make it myself. The film involved a boat and children which meant it would be difficult and I would probably be the only one to take up that challenge. So I asked Brian O’Connell if he would come ‘on board’ as director. He had been busy writing then producing and directing his feature film ‘Sarah’s War’ but had a small window when his actors were away so he agreed to direct the film. In the meantime the boat from the village had disappeared. In hindsight it would have proved far too dangerous as the deck was a good 10’- 15’ above ground. 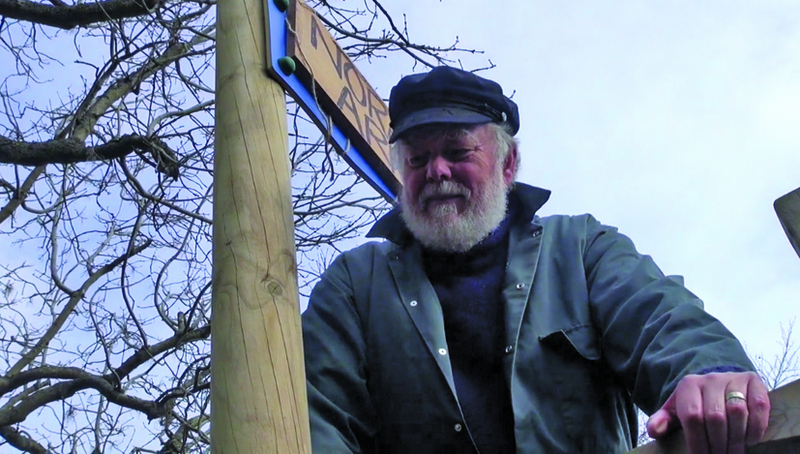 I was scratching my head wondering where I could find a suitable boat when I noticed a play ark in the playground of Potters Gate School, Farnham. The ark did not have to be on water. Each time I passed the ark I liked it more. I approached the school. We agreed the date and I arranged to rent the playground and the school hall for the film shoot. 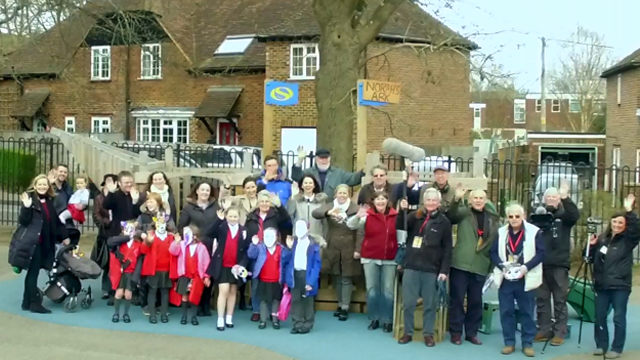 I invited members of the club Surrey Border Movie Makers to get involved and soon we had a crew. Then I had to find six, 6 year old children and more especially their mothers who would have to be prepared to give up their Sunday. 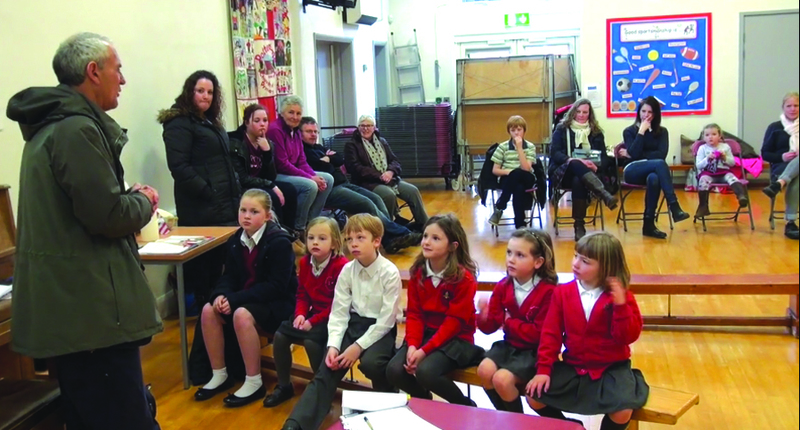 Most of the mums pulled faces at the thought of spending 4 hours of their Sunday in a school. I appealed to some of the mums in the French class that Al and I attend. One of them had two children who were the right age and another one put me in touch with a friend who had children of a similar age. So we now had five children who were between 5 and 8 but I needed a slightly older girl who would say the all important line at the end of our short film. Eventually I asked a neighbour if one of her grandchildren would be interested. So we got 9 year old Evie who played the part of Emma. I also needed two adults. One was the teacher, Norah and the other was the eccentric Mr Huber who continues working in the playground ignoring the impending doom. 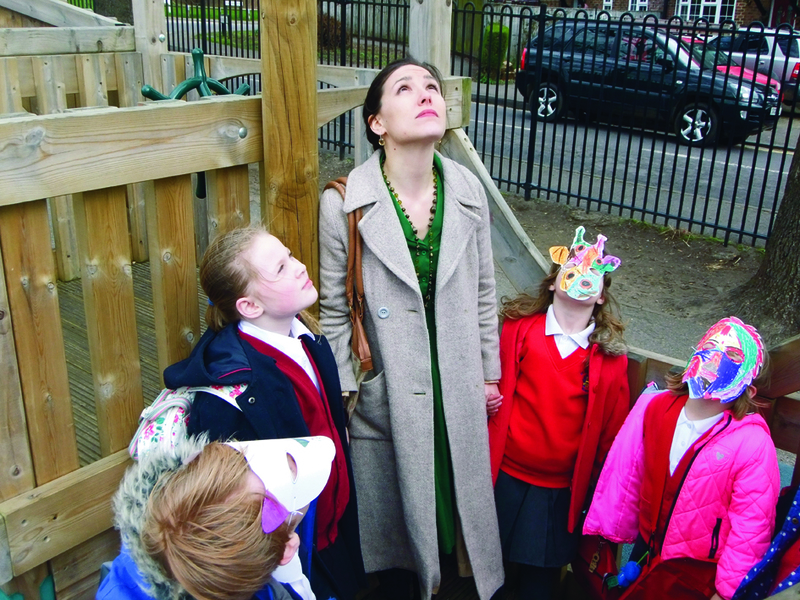 I approached Victoria Ledwidge, represented by BMA Artists: https://www.bmaartists.com Victoria is a talented actress, had appeared in two of our previous films and I knew she would be the ideal person to play Norah, a sympathetic teacher that the children would love. She agreed. Then I needed Mr Huber. I imagined him to be tall with a white beard. Peter Frost sprang to mind! So, stage set, cast agreed, crew ‘on board’, all we needed was the weather. The weather was windy but not too windy to prevent Philip Morley from flying his drone to capture the last scene; most importantly it was dry with grey skies. Ideal for filming outside. 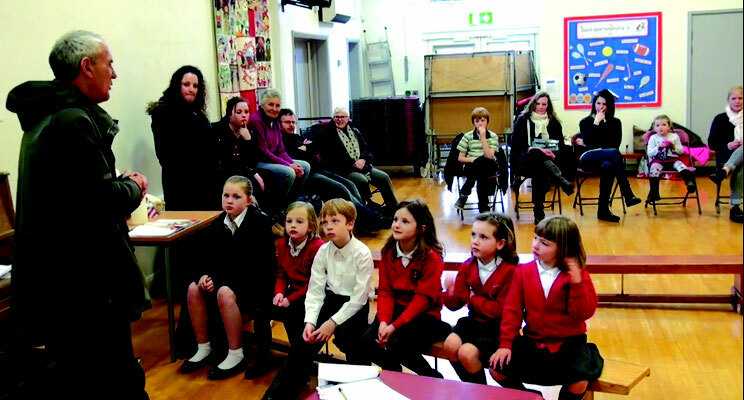 Bearing in mind the trope ‘never work with children’ we were all nervous about how our young cast were going to perform. None of them were actors. With five girls and one boy aged from 5 – 9 anything could happen. Brian set the tone by talking to the children and explaining what was going to happen, what the story was about and how they had to pretend the crew were invisible. It worked. It was like the children had been acting for years, their performances were convincing and they suffered the cold and the wind without a complaint. I must acknowledge a big thank you to the mums who were totally relaxed and just let their children get on with it. We started filming shortly after 11 and finished about 3.30. A gruelling days shoot for anyone. However these keen 5-9 year olds never complained once, enjoyed a re-fuelling stop for lunch and were keen to start again shortly after. We celebrated the end of the shoot with a slice of chocolate cake which was hugely enjoyed by our child actors! 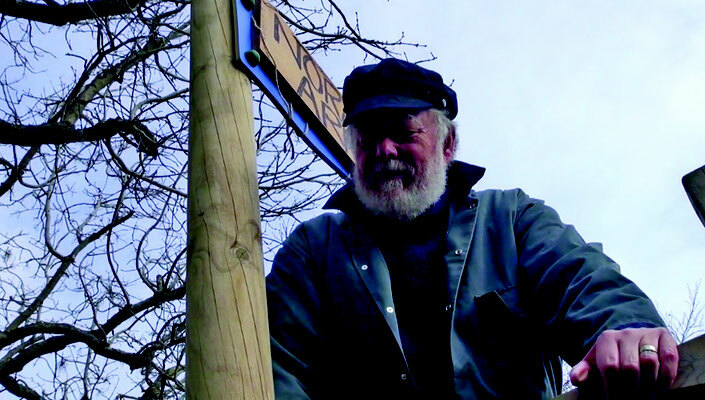 Now we had the footage it was up to Philip Morley as Editor to put it all together. He got the bit between his teeth and soon had the first edit ready for viewing. He patiently accepted all our suggestions and after a consultation with Gordon Sutton (DoP) and a few re-edits later we had a good film. However I was unhappy with the sound where the children walk into the ark. While watching outtakes I noticed Brian had gathered the children together and had them singing an animal song. I knew that was what was needed. 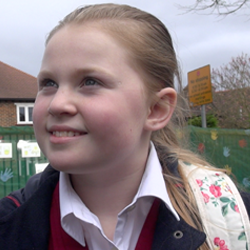 The sound on the outtake was bad so I hired the school again and we met and recorded the children singing so it could be added to that scene. If the see Trailer on the current film – that is what it is, a trailer. 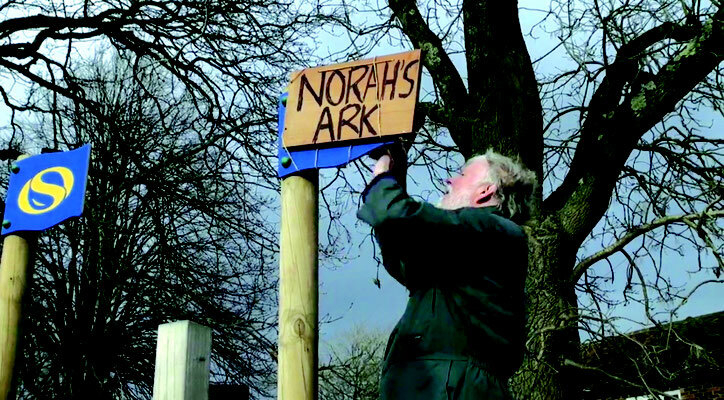 The full short will be uploaded soon then we hope you enjoy our short film ‘Norah’s Ark’. What a great article. A very difficult subject to work with children over, as the concept of death as the last thing they think of. I can't wait to see the movie. A brilliant summary of the event! It was a real joy to work so wholeheartedly as a team and thank you to Rita (The Producer) as well as Chris Jones for providing such an exciting opportunity not only for us film makers, but also for all the children and parents involved.